The Great River Race is London’s River Marathon. 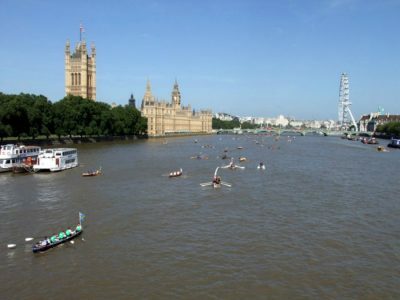 A spectacular boat race up the River Thames, it attracts over 330 crews from all over the globe. 21.6 Miles from London Docklands to Ham in Surrey. The Great River Race appeals to every level of competitor! From serious athletes who like winning, to those who enjoy laughter, fancy dress and charity stunts. Its a great fundraising event for charities like SPEAR raising money to support our continued work within the local communities, addressing homelessness.